The most superior parcels of Pinot Noir were selected by Millet from the Prophet’s Home Vineyard, a magnificent site on a high elevation, steep glacial terrace at Bendigo. The traditional old world handling techniques meet the excellence of new world fruit, in a pas de deux which defines the sublime elegance of Central Otago Pinot Noir. Francois Millet from Domaine Comtes Georges de Vogüé and Paul Pujol from Prophet’s Rock. Francois has never made wine outside of Chambolle in Burgundy, but has become so enamoured by Prophet’s Rock’s Central Otago terroir that he agreed to make his interpretation of the vineyard. 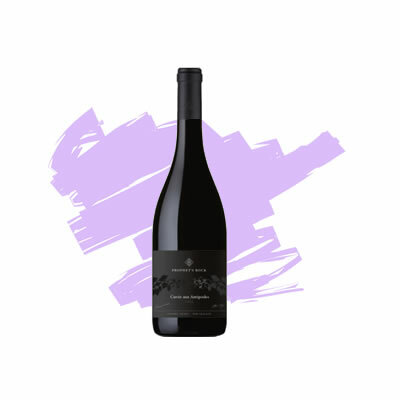 The result must be tasted to be believed… a wine that will literally take your breath away, Cuvee Aux Antipodes is unmistakably Central Otago, and yet, completely unlike any wine that has ever been made in this country. Francois’ famously delicate touch on his legendary Musigny Grand Cru is in evidence here – expect this wine to be the most collectible wine ever made in NZ. 1. For the lamb chops: In a large bowl, mix the brown sugar, cumin, oregano, chili powder, and coriander together. Add the chops and coat them all over with the dry rub. Cover and refrigerate for at least 30 minutes and up to 1 day. 2. For the rice: Heat a medium heavy based saucepan over medium-high heat. Add the oil, then the rice and stir for about 3 minutes, or until the rice is lightly toasted. Add the onion, garlic, cumin, and 1 teaspoon salt. Stir for about 2 minutes, or until the onion softens. 3. Add the tomatoes and cook for about 2 minutes, or until they soften. 4. Add the chicken stock. Bring to a boil, then reduce the heat to medium-low. Cover and simmer very gently without stirring for about 16 minutes, or until the rice is tender. Remove the pan from the heat and stand, covered, for 5 minutes. Using a fork, fluff the rice and stir in the coriander. Cover and stand until ready to serve. 5. Meanwhile, for the avocado sauce: In a food processor, blend the avocado, garlic, lime juice, and vinegar together for about 1 minute, or until very smooth. Blend in enough water to form a thick saucy consistency. Season generously with salt to taste. 6. To cook the lamb chops: Preheat a grill or char grill on medium-high heat. Lightly coat the lamb chops with the oil and season with salt and pepper. If char grilling, arrange the lamb chops on a baking sheet. 7. Grill or char grill the lamb chops, for 3-4 minutes on each side, or until they are cooked to medium-rare. Transfer the chops to a platter then lightly cover with foil and rest for 5 minutes. 8. To serve: Spoon the rice onto four plates. Spoon some avocado sauce on the plates alongside the rice. Arrange 2 chops alongside the rice and sauce on each plate. Garnish with the avocado wedges, coriander sprigs, and lime wedges and serve.